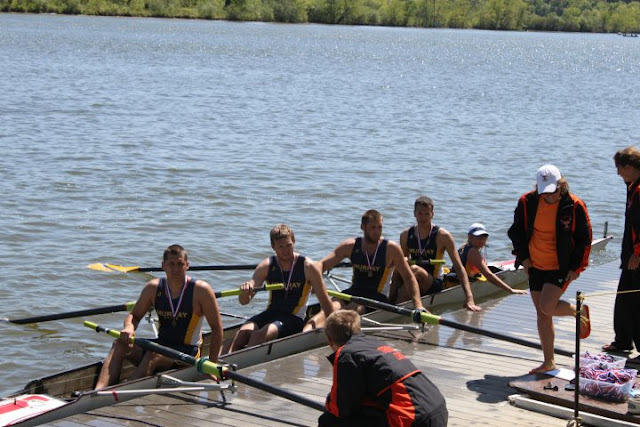 The Southern Intercollegiate Rowing Association Championship will be Murray State Rowing's first look of the semester at championship style racing. SIRA is held on April 20-21 this year and will allow the Racers to compare times with competitive "southern" crews, as well as some crews out of the region. In the past, SIRA was our final regatta of the spring. Now, we use SIRA to gauge our speed and make adjustments for the national club championships sponsored by the American Collegiate Rowing Association (ACRA). This year at SIRA, Murray State will be racing a Women's Varsity 8, Women's Novice 8, Women's Novice 4, Men's Varsity 4, Men's Novice 8, and Men's Lightweight Novice 4. 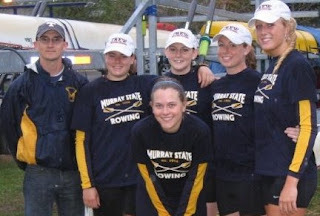 We would love for any alums to make it out to Oak Ridge's Melton Hill Lake to support our crews.